You’ve made the great decision to take on a Spartan Race, now make it count and use your challenge to help change lives. This year we’re excited to announce we’ve partnered with Macmillan Cancer Support, giving you the opportunity to make a difference to people living with cancer all around the UK. Click here to sign up for a free Team Macmillan place when you pledge to raise £250 to help fund vital support services. Or sign up for your own Spartan Race entry and simply raise as much as you can. If you’ve got your own cause, there are lots of other charities you can run for. 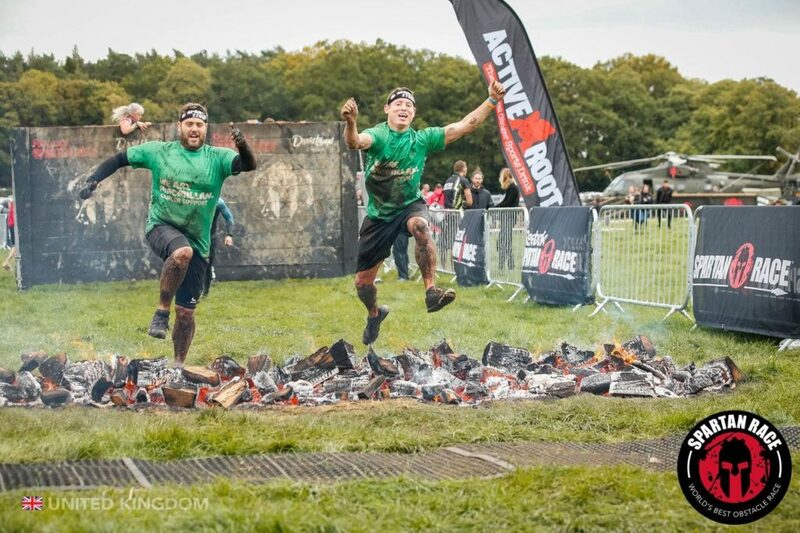 Visit our partner’s website Run For Charity to see over 500 charities who have race places in Spartan events. We’re delighted to partner with Macmillan Cancer Support, giving you the opportunity to support people living with cancer throughout the UK. Click here to secure free entry when you pledge to raise £250 to fund vital support services. Got your own cause? Visit Run For Charity to find out other charities who have race entries. Sprint (5km+, 15+ obstacles): The Sprint is a great race for all levels. Super (13km+, 20+ obstacles): The super is designed to push your limits and challenge your physical strength and mental resolve. Beast (20km+, 25+ obstacles): The Beast is the pinnacle Spartan Race distance and will transform your fitness. No excuses, no mercy, no giving up. Take your challenge to the next level by rallying the troops. Nothing forges friendships like burpees in the mud and no charity challenge will feel more rewarding. Whether you’re a group of friends, OCR regulars or a corporate team looking to bring more unity to the work place, sign up today and start your fundraising journey.